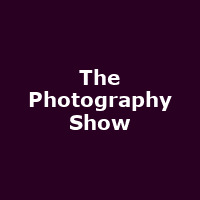 Established in 2014, The Photography Show is based at the NEC in Birmingham. "Full to the brim with everything a passionate photography enthusiast or a well-seasoned professional photographer could possibly dream of; including the latest technology from all the leading brands, demos of the latest kit, conference sessions and a complete range of talks and seminars guaranteed to meet your needs, whatever your level. Join like-minded photographers at the must-attend event in the image making community?s calendar."